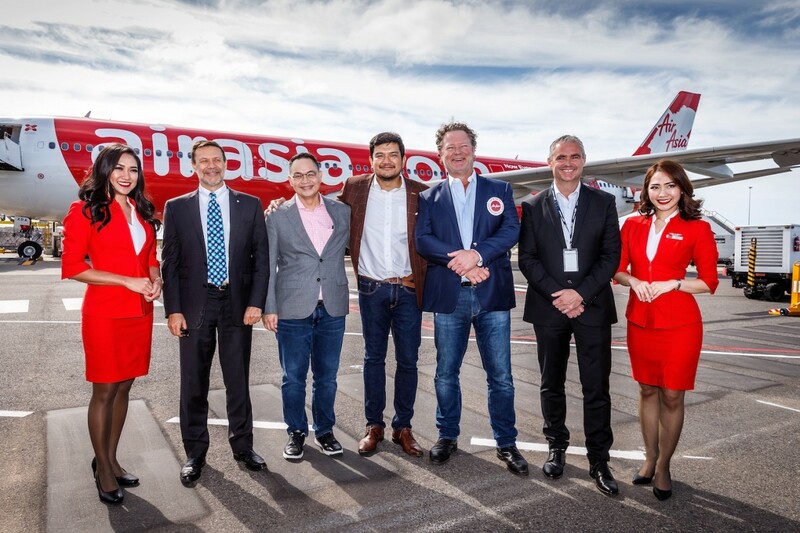 Operated by AirAsia's long-haul affiliate, AirAsia X, Flight D7218 touched down at 8.16am (AEDT) bringing the first of more than 500,000 international visitors this coming year to the region. The inaugural landing of AirAsia at Avalon seals a 10-year deal between the Southeast Asia-based airline and Melbourne's Avalon Airport and follows more than $48 million dollars of investment from the Australian and Victorian Governments to develop the new facility near the City of Geelong. “By working together with airport, government and regional stakeholders, we've been able to deliver a long term deal that provides lower operating costs for AirAsia, increased passenger volumes and non-aeronautical revenue for Avalon Airport, and ultimately the opportunity for millions of people to fly affordably. “Importantly, for our Southeast Asia guests, the move provides easy access to the coastal town of Geelong and one of Australia's number one touring routes, the Great Ocean Road. “We'd like to thank the Australian and Victorian Governments, the Linfox family and the local region for making this transition a reality for our international guests,” said Mr Benyamin. AirAsia guests who fly to Melbourne Avalon will benefit from a range of 'Avalon Advantages' including cheaper parking, no Tullamarine freeway tolls, convenient access to Melbourne CBD via SkyBus, new airport infrastructure and a hassle-free arrival and departure process.